It's time to order your Easter platters from 109! You are welcome to bring your personal platter to the stop and the experts at 109 will create the perfect charcuterie platter with an artistic flair, for your guests. 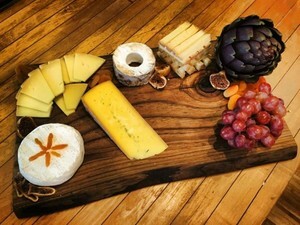 Or, 109 can provide a beautiful platter for your event. Invited out for Easter? 109 is stocked with unique gifts for home and hostess! Come on in, place your order online, or call 203-438-5757 to order your Easter platters.